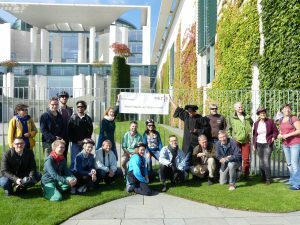 Representatives of „No-Free-Lunch“-groups from 15 nations and all continents accepted the invitation of their German partner initiative “MEZIS – Mein Essen zahl’ ich selbst” (translation: I pay for my food myself). 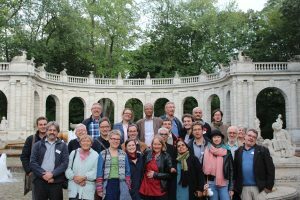 Together, they worked on conflicts of interest in health care and their implications between the 15th and 17th of September 2017 in the “House of Democracy and Human Rights” in Berlin. And here you find all pictures of the conference. MEZIS is part of the world wide “No free lunch”-network. How do we work in practice? If doctors lack one thing, it’s time. Thus MEZIS works in a decentralized manner and communicates via e-mail, a mailing list and through the website www.mezis.de. Our public relations work highlights the subject in the media. Our regional groups form networks of local colleagues. According to estimates 15,000 pharmaceutical representatives visit 20 million practices and hospitals in Germany every year, advertise their products, bring their gifts and remunerate doctors for post marketing surveillance studies (PMSS). They treat doctors to lunch or dinner and pay participation and travel fees for Continuing Medical Education programmes (CMEs). The result: Advertising for drugs that are usually more expensive without proving any therapeutic progress replaces objective information. Money, gifts and food influence physicians‘prescribing behaviour.- The pharmaceutical industry sponsors most CME programmes and can therefore ensure that the “right” topics are covered. Medical speakers are often receiving inappropriate remuneration and even their slides are often provided by sponsors. Then become part of MEZIS! MEZIS is open to all German speaking doctors and dentists (80 € / year). All other can be passive members (40 € / year). Please contact info [at] mezis.de.